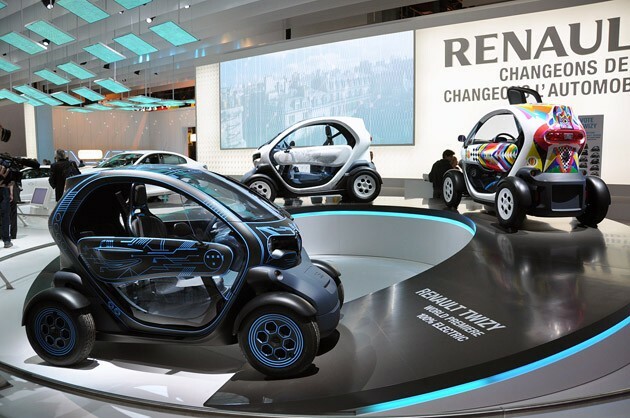 Renault may launch a low-speed version of its battery-electric Twizy in the UK next year in an effort to capitalize on a law allowing for unlicensed drivers for some smaller vehicles, according to UK’s Autocar. The EV, called the Twizy 45, would be able to be legally driven by unlicensed drivers who are at least 16 years old if the EV is limited to a top speed of 28 miles per hour (that’s 45 kph and gives the car its name) and weighs no more than 350 kilograms (770 pounds), or about half the weight of a Smart ForTwo, Autocar reported, citing Andy Heiron, who runs Renault UK’s electric-vehicle operations. The EV may cost about £6,200 ($9,900), though a teenager may have to pay another two-thirds of that total during the first year in the form of insurance premiums. Cheap Rc Cars For Sale | Electric Cars For Sale | Are YOU Looking for ELECTRIC CARS FOR SALE? Here's MOTOR SCOOTERS FOR SALE information for you!